Abstract nature is exactly that. These objects and images are at once elegant distillations of nature’s forms and patterns and rich evocations of its deep layering and complexity. Immediately apparent is their beauty and the extraordinary fineness and technical skill of their making. Academic Jacqueline Millner writes of the resurgence of beauty. Not of beautiful things but of beauty as an aesthetic strategy and a response that enables us to see and engage with the world more justly, an idea that she terms conceptual beauty. 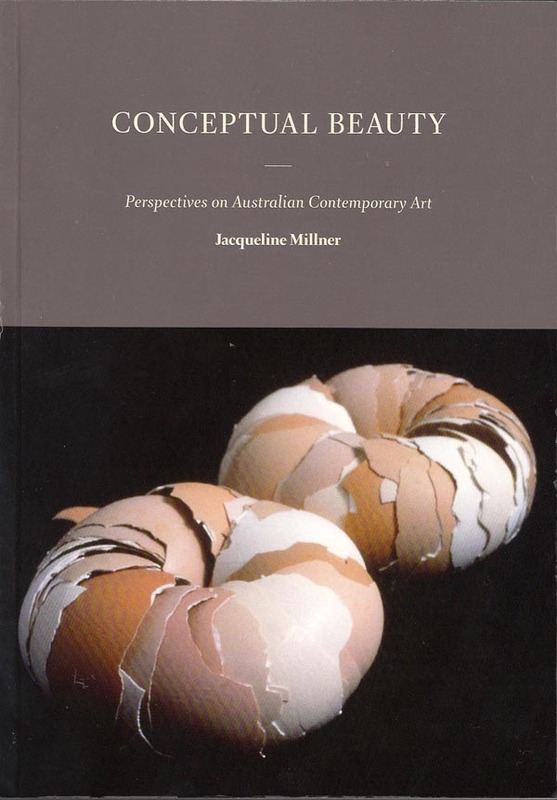 Millner makes a compelling argument that, far from being incapable of being critical, beauty as an aesthetic strategy offers radical opportunities for critique and may perhaps be the most ethical approach to the world’s complications. The beautiful object or image is the nexus between understanding, wonder and beauty and Millner isolates this linkage in works that concentrate on ‘the harnessing of intense attention through intricate detail to create wonder and a sense of prolonged duration and a preoccupation with formal attributes, technical skill and finish.’ Skill and craft create wonder and so pleasure, reverie, reflection and understanding. 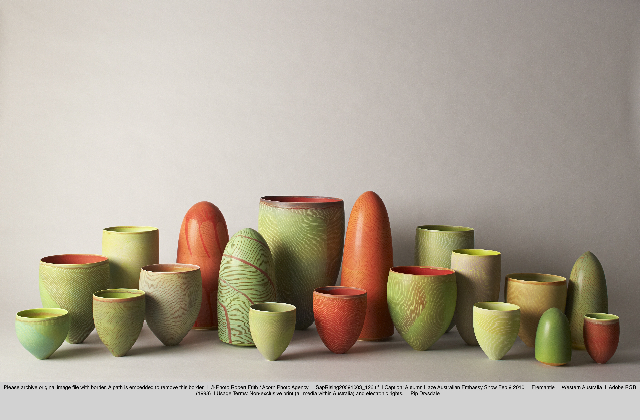 Installation of 19 ceramic vessels and closed forms from Tanami Traces series IV – VI, Kimberley series II -III and Tanami Mapping I.
Dimensions variable. Courtesy the artist. Pippin Drysdale’s quietly monumental arrangements of ceramic vessels and forms that speak very precisely of the rhythms of place and time create exactly this sense of prolonged duration that Millner speaks of. There is something slowed and significant about these arrangement that calls to mind ideas of the interrelatedness of complexity. In Drysdale’s work, it is not only the monumentality of form, richness of colour or the incised lines that seem to hint at meaning but the spatial rhythms of the absences between the forms that make this so powerful. Complexity lies alongside beauty with wonder and beauty springing from the acknowledgement and incorporation of complexity in the creation of such works. What operates here is not only this capture and slowing of attention but an acknowledgement and coming to grips with complexity that inheres in the technical accomplishment of their making and their materiality. Looking at the beautiful things in Abstract Nature we, I don’t go through careful cerebration, I experience wonder and pleasure in the looking engendered by this craft mastery that acknowledges and engages with the world’s richness and complexity. Each act of technical skill, of overcoming, the exquisite murrine glass works of Giles Bettison and stunning glass panels created by Jess O’Loughlin are extractions of a complex world that make its complexity comprehensible through beauty. Paul Cilliers writes that complexity can be understood by limiting the field of enquiry, temporarily reducing the vastness of the system while retaining intimations of the whole. 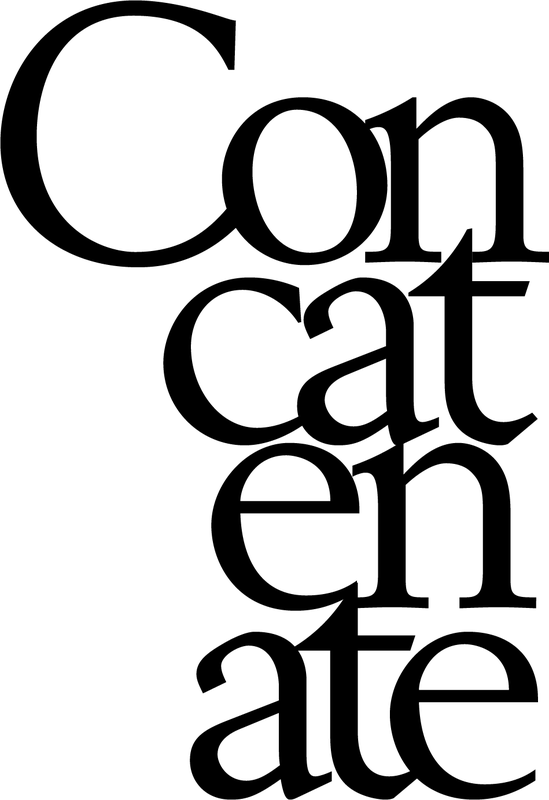 An idea akin to physicist David Bohm’s of implicate order, that the form of the whole can be known from a part of it. Operating as extractions of the complex system (nature) comprehension of the whole comes instantaneously for what inheres in these objects, is as Bohm says, the whole. So skilfully do they operate as distillations of complexity that these works seem to transmit what inheres in them rather than interpret. Between the works a web of interrelations, affinities and resonances is skilfully set up so that the exhibition conjures a sense of irreducible but not incomprehensible complexity. Things slide continually between the vast and the minuscule reinforcing this sense of interconnection. Catherine Woo’s alchemical panels with their saltpan like forms and crystalline surfaces are both corpuscular and planetary as Richard Woldenorp’s images of riverine systems mimic our smaller venous worlds as they too echo the lines of Philip Hunters rich and elusive landscapes. Patterns layer and intensify with the dense lines of Regina Wilson’s ‘Sun Mat’ (2008), a shimmering vortex of lines and colour amplify the intense rrark of Djambawa Marawili’s‘Metamorphosis’ (2006) and the incised lines of Drysdale’s ceramic forms creating fields of vibrating energy. Julie Ryder’s vivid silks printed with images from electron microscopy have all the hyperreal and uncanny precision of science fiction. Against black walls they glow like light boxes while their forms echo the cool precision of Julie Blyfield’s tumbling silver leaf forms in ‘Windfall’ (2010). There is also a sense of deep familiarity, recognition of recurrent forms and rhythms. Shona Wilson’s elegant, eccentric constructions of beetle wings and fish bones seem wholly correct without me ever recalling seeing a diatom. I recognise the curling symmetry in Lesley Mathews’ exceptionally fine whirling silver forms that seem at first to be winged seeds but are wheels of locked together small bones. Things don’t masquerade as each other but find their essence in other things as in the slew of objects made and collected, bodily, human and not in Catherine Truman’s ‘Ongoing Being’ (2010) where carved lime wood transmutes into flesh. Holism overtakes division rendering reductive taxonomies redundant. The biomorphic forms of Angela Valamanesh’s ‘Natural Histories’ (2009) echo the blackened bronze tree bones of G W Bots’‘Tree of Life’ (2009). While Bots’ cryptic glyphs deeply embossed into soft fibrous paper flow on from the graffito markings of Jenny Sage’s encaustic panels that evoke the minute details, markings and textures of natural life hinting at meaning while evading translation. Through the processes that Millner highlights; wonder, craft, duration and attention, beautiful objects offer us through holistic understanding ways to be with complexity that are engaged, ethical and nourishing. In conceptual beauty, beauty is not simply thing or end point but strategy, process and response. As complexity engenders further complexity, the experience of beauty makes us receptive for its further experience and all that this entails. Beauty and complexity are expansive notions, they open us up to other ways of looking and being with and in the world. They de-centre us, open us to discovery and replant us in this complex universe, off centre, just as it should be.